Manchester United striker Marcus Rashford is in line for his second start of the 2018-19 season against Young Boys in the Champions League on Wednesday. The 20-year-old has endured a turbulent month in the early stages of the new campaign, featuring in the starting XI for Mourinho’s men against Leicester on the opening day and coming on as a substitute against Brighton and Burnley, finding himself sent off in the latter fixture at Turf Moor after an alleged headbutt on Phil Bardsley. Rashford was handed a three-match suspension as a result of the red-card and thusly missed the Red Devil’s 2-1 triumph against Watford at Vicarage Road on Saturday. The win saw United secure back-to-back wins for the first time this term and with Wolves up next in the Premier League at Old Trafford at the weekend, supporters will be hopeful the team can continue to climb the table with another three points. 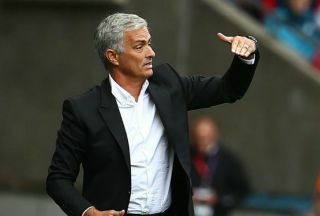 Before that, however, Mourinho takes his team to Switzerland to face Young Boys in the opening fixture of their latest Champions League venture. United have been drawn in Group H alongside the Swiss outfit, Italian champions Juventus and Valencia, which has been labelled one of the toughest groups in this year’s tournament. It is crucial that the Red Devils secure a victory on Wednesday night and Rashford could get his chance to make an impact as he is still available for selection outside domestic competitions. According to The Express, Mourinho is mulling over the prospect of including the Englishman in his starting line-up after his match-winning exploits for his country during the international break. Rashford scored in a 2-1 loss against Spain at Wembley before also grabbing the winning goal against Switzerland for the Three Lions two days later and his vibrant displays may have done enough to convince the 55-year-old boss to include him this week. The young attacker is in dire need of some playing time as his development continues to stall at Old Trafford in recent times and now he could get the opportunity he needs as the Champions League returns. United fans will be hoping their team can improve on last season’s disappointing last-16 showing and Rashford could prove vital in providing a greater threat up front to help the club advance into the latter stages of the competition.